Modern vehicles have two very important air filters built into their engine and cabin designs. Do you know the difference? These two filters feature similar construction and materials, but they perform very different tasks. 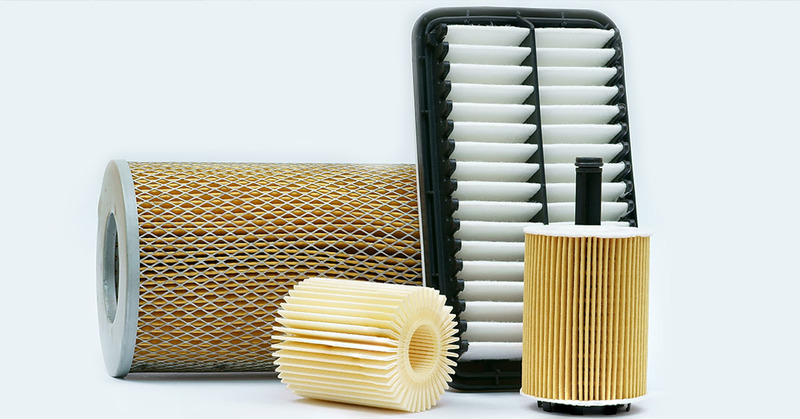 When you commit to a regular maintenance schedule for the replacement of these filters, you’re helping to maintain the overall performance and comfort of your vehicle. Before you come in for your next service appointment at your preferred auto shop, learn about how these two components function and benefit your vehicle and you. Your vehicle uses an intake system to draw air into the engine for the internal combustion process. To keep dust and debris out of your motor, your engine air filter sits front and center on the intake. When your air filter remains unobstructed and well-maintained, you can ensure that only clean air reaches the inside of your engine. Your auto technician will check your air filter for excessive debris and suggest a replacement as needed to keep your engine running smoothly. Without a clean engine air filter in place, your vehicle’s engine could suffer damage or decrease in efficiency as dirt particles impede complete combustion. A cabin air filter mimics the construction of the engine air filter but actually performs a very different job. Your cabin air filter sits at the mouth of the heater box to treat the air coming into your passenger compartment. This filter draws out dust, soot, pollen, and other environmental allergens to continuously provide fresh, clean air to your cabin space. You need to have this filter replaced on a regular schedule, as the element fills with particles and becomes much less effective. Dirty cabin air filters not only decrease the efficiency of your heating and air conditioning system, but they also allow allergens to infiltrate your airspace. To maintain the performance of your vehicle’s engine and comfort of the car, work with your talented auto tech to find the best service interval for these two components. Your mechanic will utilize the vehicle manufacturer’s suggested service intervals as a baseline for the ideal replacement dates. Considerations about how often and where you drive will likely come into play as well. You can trust your experienced mechanic to help you identify a replacement interval that will keep your vehicle operating at peak efficiency and truly comfortable for you and your passengers. Now that you know how your engine air filter and cabin air filter function, and differ, you can easily navigate the service interval identification and replacement process with help from your skilled auto tech. If you’re ready to visit and discuss these services at Wheeling Auto Center, simply navigate to the online scheduling form and provide your contact information. We’ll help you secure a convenient appointment date and time that works around your busy schedule.